We’ve been playing a bunch of Pokemon Y this week and let us tell you it’s basically a nonstop cavalcade of cute, all games should basically be about having adorable baby animals that you can pet. We’re not saying they all need the same exact gameplay but if we could pause DOOM for a minute to snuggle with a puppy before going back to the carnage we’d be pretty chuffed. Yet another Drink and Draw has come and gone and let us tell you wow is it a neat time for folks to meet and hang out and draw. We were as always inspired and embarrassed by the sheer hard work and artistry on display by the other people in the room. Also we got to check out a ring that bartender/metalsmith Heather Beck made up close and it was really neat, and she explained things about metalworking which was nice. There was also a preview version of this handsome boy that KC Green’s kickstarting and it looked great! We want to call special attention to the Smash Bros tournament in Springfield! We don’t cover a ton of Springfield on account of there being just a heck of a lot there to cover to the point we’re kind of waiting until we can provide convenient regional features BUT we were alerted to this event by the creator and heck it sounds like a great time! Don’t forget that if there’s an event you DON’T see on this list, we’re always looking for more local knowledge! We can use your help to get everyone up to speed on the coolest things happening in the Valley! 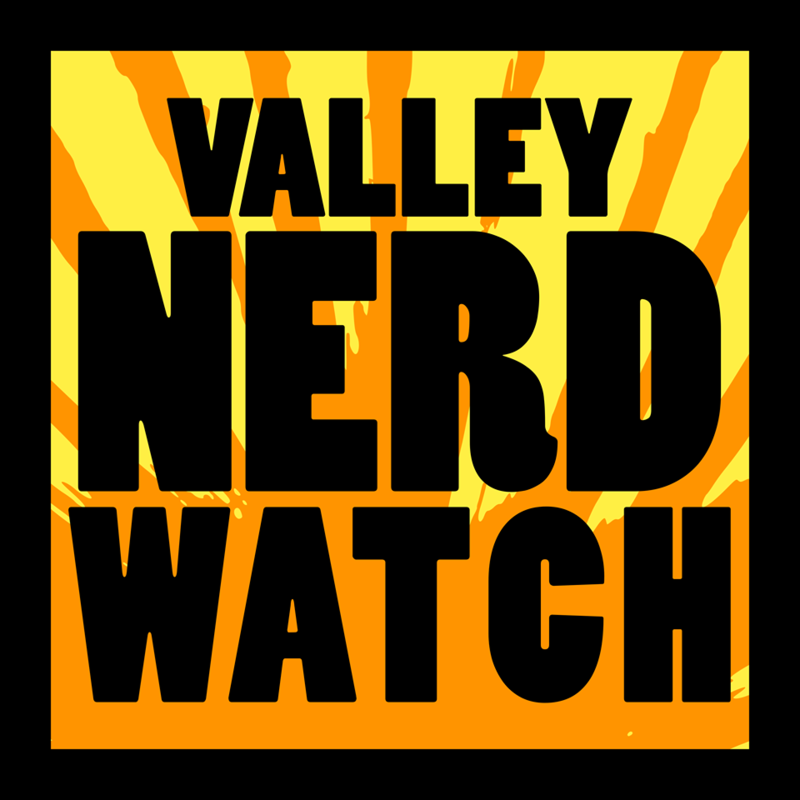 Go check out our Patreon and the Valley Creators page! As always, be sure to check out the Weekly Events page! There are a lot of fun things happening this and every week! And don’t forget to check out the updated Book Clubs List! Starting a rotating art book is simple, and this class will teach you how! Basically you pick a theme, draw something, and send it to your friends who also draw something and send it to someone else and eventually it all comes back to you and it’s beautiful! Hold on to a little bit of summer with some sea glass vases! You can create some vases with a neat sea glass look and then decorate it! In your ongoing quest to make sure that literally all items of clothing and accessories you wear are made of duct tape, try a hat! It’s simple, it’s fun, and you can make it in neat colors! Fair warning, 99% certain these are not appropriate for a job interview. Turn an old shirt into a cool bag! They you get to keep that neat shirt and also not have to wear that old danged shirt again. It’s a no-sew project that you’ll be led through step-by-step! Take some old t-shirts and a pair of scissors! Suitable for ages 11 and up! Knit up a little pal! All ages are welcome to create their own tiny creature made of yarn to be friends with! Play some games at Palmer! Bring some of your own if you like or use their own big collection of games. We highly recommend Cosmic Encounter! Try a new team this Sunday: only people who can breath underwater. Namor, Aquaman, but also like we’re 90% certain Superman can? Or does he need to breathe? Look this is for you to figure out we’ve done our part. What have you read this summer? Chat about it with Kat and some other pals! There are snacks, you can relax, you can bug people about the books you liked or didn’t like! Open to kids, tweens, and teens. But, very important, absolutely not open to smeens. Do you write for children? Create art for children? Both? Talk about the ins and outs of the business with fellow creators! Get ideas, ask for critique, just generall chat with some like-minded and friendly people! Launch Party for Gina Damico’s Wax! Gina Damico is a local author who writes weird YA fiction! Her newest release is about the town of Paraffin, Vermont which is known for a Candle Factory. But beyond the retail space, our hero Poppy Palladino discovers a dark and distressing back room filled with life-like wax sculptures! As she hightails it home, one of the figures leaps out of her trunk screaming! What’s even going on? Also oh jeez we JUST got that this is totally building at least somewhat off the Yankee Candle Factory. We can 100% buy they’re using dark sinister magic there. Have some tea, jam and bread, and other Austrian delights while you chat with Gina! Get some books nice and cheap at the GPL! Support them in the process! No downsides to this day, friends. Talk to fellow nerds about queer representation in comics and gaming! They’re a great bunch and they’ll be a hoot to meet! Play a special game of no-flying (gotta be understanding to the large Muggle population around here, absolutely no cheating!) Quidditch in honor of the Olympics! Of course at the Olympics they play with flight. Look we’ve said it before we got no anime chops. But you might! Or maybe you’re just into checking out new stuff? Check out anime! Pretend to blast your friends with lasers in the library! Fun times all around. Find out about how the Civil War affected Northampton! Forbes recently recieved a grant by the Massachusetts Civil War Sesquicentennial Comission to preserve, digitize, and create and aid for finding Civil War related materials! Who’s the author? No clue! It’ll be fun though we bet. Probably the author somehow relates to the sport on display, but we kind of love the idea that it’s actually just Stephen King and he’s gonna sit down and watch some Field Hockey with you all because he’s a big fan of it. Join some volunteers in weeding and cultivating the beds at the museum! Become a part of a new generation of caretakers for this precious land AND protect yourself from the mystical wrath of the Dickinsons. Aye the cup is full, waiting to be tipped upon an unsuspecting citizenry. Deisgned for participation with children ages 4 and up, with an adult. Up to two kids per adult! Create, build, and just make some nice things! Open-ended free play for creative kids and their grown-ups! Listen, play, learn! Kids will have a fun time with the tiny kid-sized guitar that makes fun noises. Join author Elizabeth Howard and illustrator Diana Wege as they share their debut picture book, A Day with Bonefish Joe, about a young girl named Flossie and her adventurous day at sea with Bonefish Joe, one of the best-known bonefish guides in the Bahamas. Bonefish is probably not actually as terrifying as it sounds. Well, or it sounds like a Pokemon, too. Oh yeah just checking it’s a kind of cute shiny fish, not scary at all! So hey just a little warning: this is basically a horror film if you’re currently in a relationship? It is really good but it will also make you stare deep into a pit of despair! A grass-roots organization looking to put anti-corruption legislation on the books across America! Take a gander at what they’re trying to do locally! Lose yourself in a new world of your own creation! Have fun with friends! Play an RPG! The bike trail built on the bed of the old rail tracks will, when complete, be the longest interstate rail trail in the Northeast! And the trail from Boston to Northampton will be the longest in New England! Craig Della Penna will talk about the history of the corridors, how they changed from rail to rail-trail, and the cultural and economic impact of these big projects! He’ll illustrate the talk with then-and-now photos from his collection, including some rare ones! Learn how to make your own computer games! The thing is, we’re expecting a AAA product alright? So bring 150 of your closest friends and divvy up work appropriately. We’ve got to have a multiplayer component with some level-upgrade tracks too, that’s absolutely essential! You’re going to be working in Scratch with the Odyssey Webmaster! You can bring your own device or just create together on the big screen! There’s a $5 nonrefundable supply fee, or you can purchase one book to get two children in! Super Smash Bros at the pub! Compete to win prizes for first, second, and third place and also get ready to compete in a secret tournament to be revealed the night of the event!